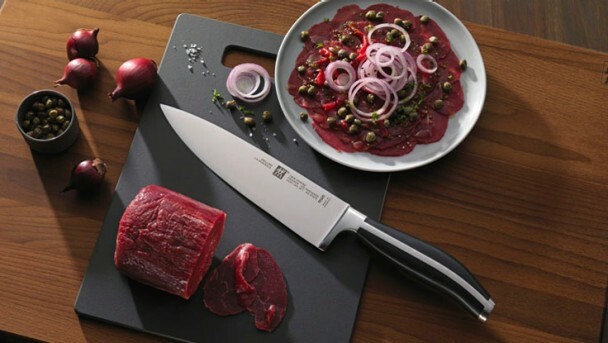 ZWILLING's special formula steel contains the optimal combination of chromium and carbon, which makes the steel superior quality. The blade undergoes a special cold hardening process to guarantee the quality of the FRIODUR knives, which are corrosion resistant, flexible and retain their cutting edge. Handle with transverse pin without rivets. The bolster provides a smooth transition from the handle to the blade, provides safety whilst cutting and provides the correct weight distribution. Stainless steel top with the ZWILLING logo incorporated for maximum elegance.